WHAT IS NEUTRA-SAFE RUST REMOVER? Neutra-Safe Rust Remover is a powerful oxidation remover designed for use on steel, iron, cast iron and copper & aluminum. Neutra-Safe Rust Remover is a concentrated aqueous solution designed to remove rust and oxidation safely and economically. 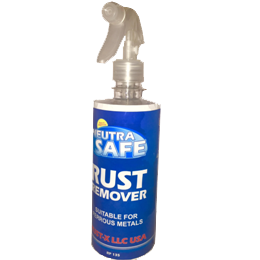 Neutra-Safe Rust Remover easily works in the nooks and crannies and all other wet areas, eliminating the need for mechanical removal. Neutra-Safe Rust Remover saves money and time by eliminating the need for time-consuming sanding and grinding, not to mention labor costs. 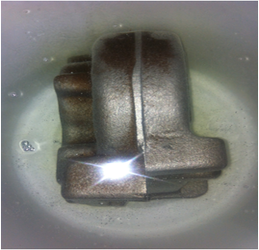 Neutra-Safe Rust Remover can be used again and again as it works on self replenishment system. We were very happy to see rust getting removed out of our Fuel Tanks. We did not know of any mechanical method to remove rust from insides until we used Neutrasafe Rust Remover and it worked wonders. Within 5 minutes the dipped area in Neutrasafe had all rust removed. Worked Amazingly. 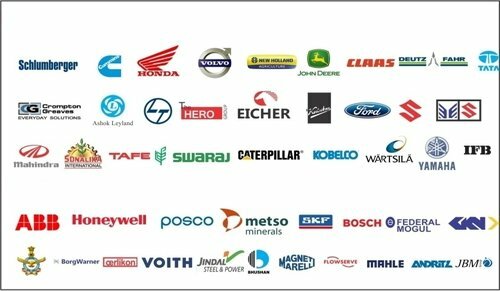 Thanks RUST-X Team for a great support & such a wonderful product…. 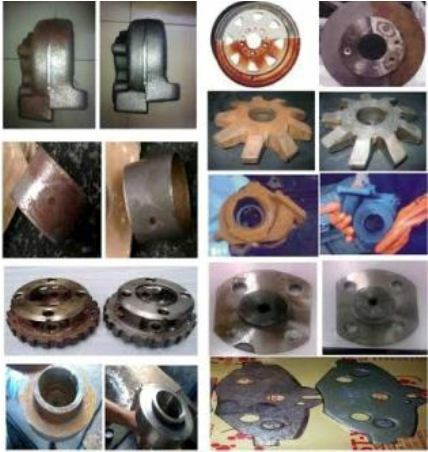 We didnot know what to do with our castings which reached our customers end and were completely rusted. Shot blasting could remove the outside rust but not in volutes. Neutrsafe Dipping was cost effective, efficient, safe and quick and gave us a delighted customer. We exported goods to Dubai and developed Rust in Thread bars. Using Neutra-Safe we could recover all our threadbars within a short span. RUST-X team in Dubai was highly efficient and co-operative. Thanks for saving our loss. Dip rusted part in the solution for a few minutes. 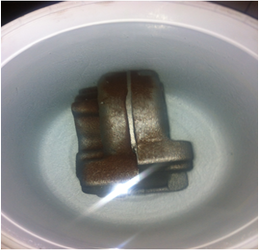 Flash rusted parts may take up to 10 minutes and very highly rusted parts may take from an hour to several hours. 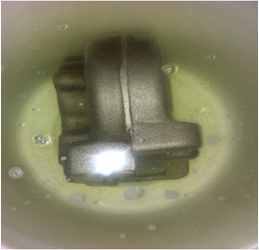 Parts will not tarnish as in acid solutions and can remain in the solution for days. Dipping is by far the best method as the solution only reacts with rust and there is no interaction with metal surface. The rust is selectively bound to rust remover molecules and removed into the solution. 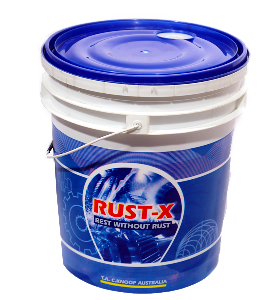 After taking part out of the Neutrasafe solution rinse with fresh water or neutralizing solution (Rust -X NN100) and then apply Rust Preventive oil. Ask us how to work with Neutrasafe for safe and fast rust removal. Neutra-Safe selectively attacks only rust and not the metal. The rust is pulled out of the metal into the solution and you can see it working. The solution goes from transparent to yellow and brown as the rust molecules are pulled into the solution. There is no significant change in the dimensions of the part and re-rusting is inhibited. Copyright © 2015 RustX. All Rights Reserved.